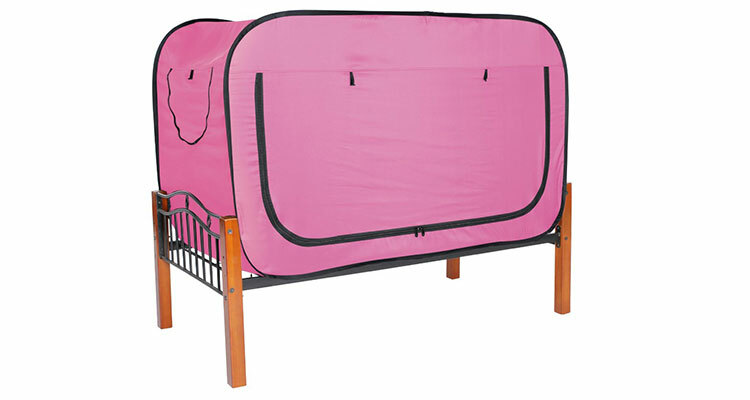 Specially designed to be used with your existing mattress and bed frame or can even be used by itself. 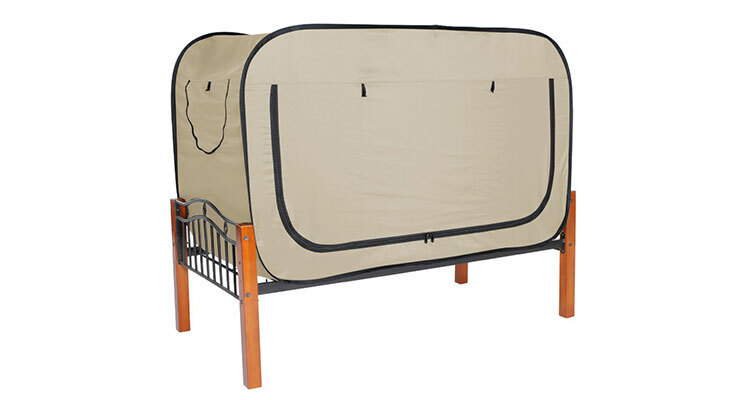 The Privacy tent comes in many sizes, but most likely you will need the twin or twin XL size for your college dorm room. Sometimes you need privacy in your bed and your roommates never leave. 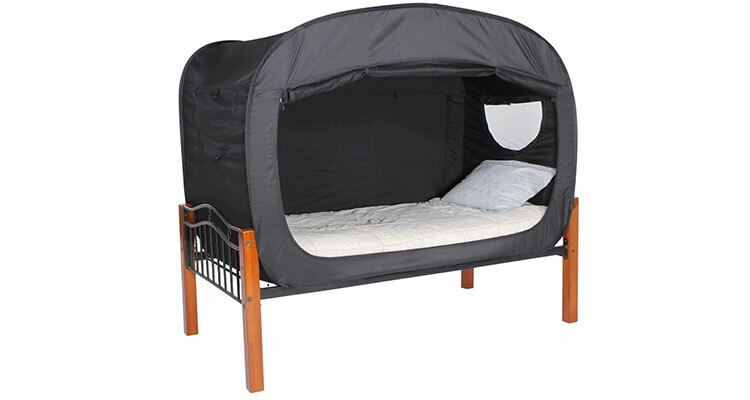 This pop up bed tent is perfect for privacy and comes in many sizes and colors. 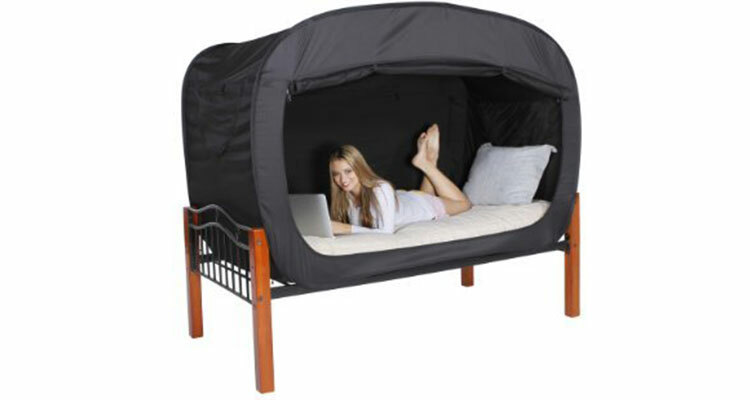 This pop up privacy tent for your dorm room bed is awesome because its large size for any activity you want to do in your privacy in your bed. It's also water proof and pretty durable. It's also very cute, because when its zipped up, it looks like a smiley face (which you probably have if you have this zipped up). Actually its also good if its too bright outside. 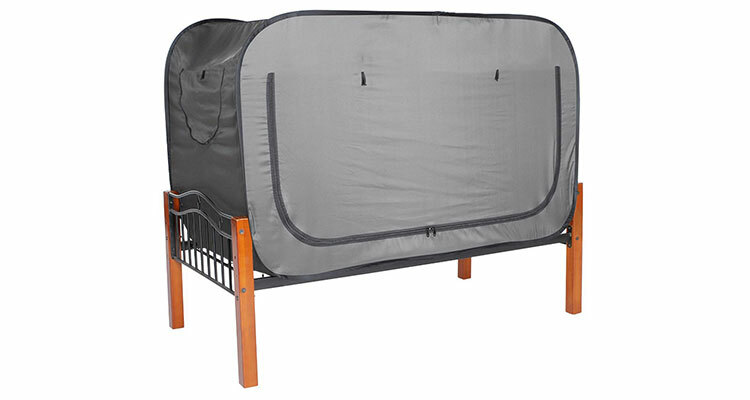 Designed to allow for simple and fast set up and take down.-Innovative style that fits most common full beds.-Mesh and zip window sides offer ventilation for easy breathing and light when you need it.-Double-sided zippers for ease of use.-Transport without bulk with its innovative folding design and compact carrying bag.-Electronic port opening to access cell phone or laptop cords.-Water repellent material. 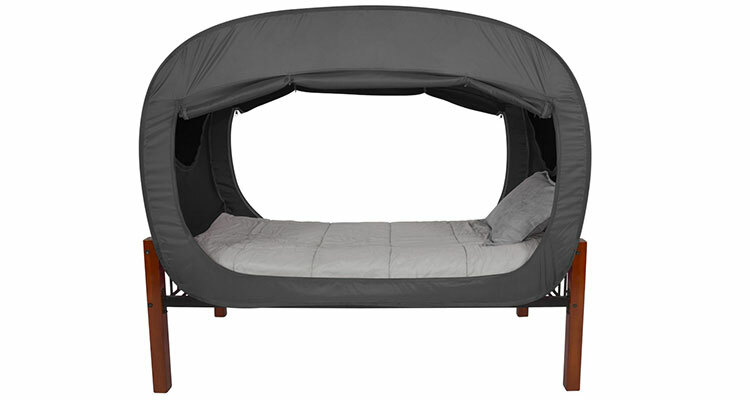 How hard is it to change your sheets and make the bed every morning with the tent on? Not hard at all. The only part that’s difficult at first is folding the tent up. 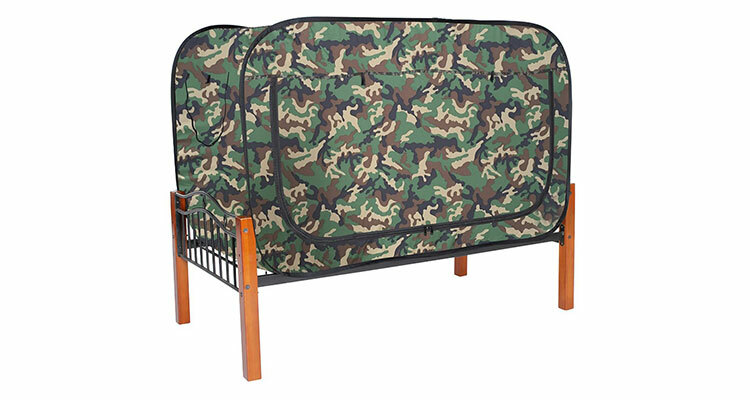 If you go to You Tube and type “folding the pop up tent” you will see a visual that will assist you in folding the pop up tent. Without the visual, it’s impossible to fold the tent up at first. The video will show a guy folding the pop up tent on a white sheet. How well does this block out light (e.g. if room lights are on)? It works great for blocking light. It would be great for someone who has to sleep during the day or shares a room with a night owl. 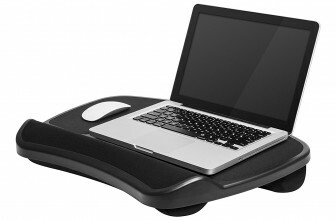 Wish I’d had one of these in college! Yes. 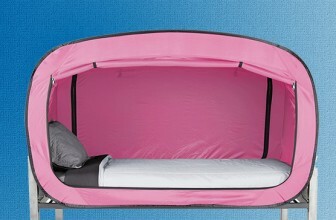 So, even if you don’t have a bed frame you can still use the tent. Is it safe and easy to breathe in once both sides are closed? Yes it is a non issue, but we put a little fan blowing thru the window because it could get stuffy but u will not have issue breathing. Yes. You can sit up and watch tv comfortably. 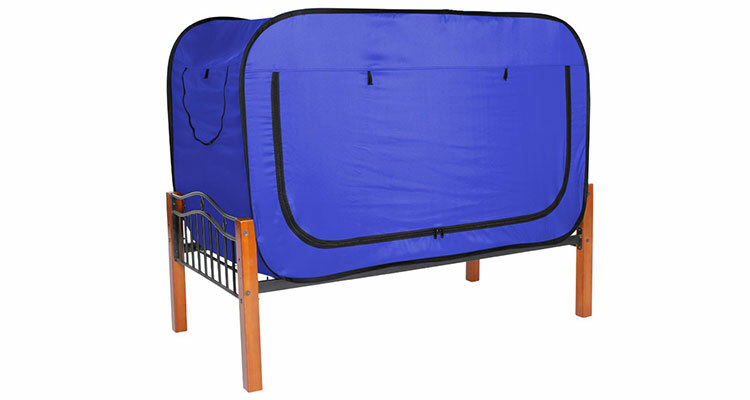 What is the length of a Twin Pop Bed Tent? 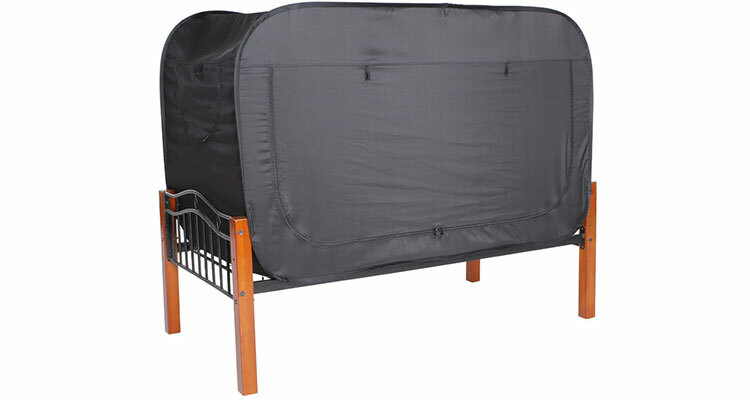 It just fits over a standard twin mattress so assume it is around 76 inches since a standard twin mattress is 75. 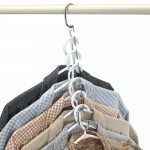 It is lightweight but constructed very well, around 1 to 5 lbs.